Left-back Gaetan Bong has signed a new contract which will keep him with Brighton until the end of next season. Bong has made 15 Premier League appearances this season and has played 52 times in total for the Seagulls, after joining from Wigan in 2015. He has penned a new deal until 2019 and said: “I’m very proud to sign a new contract with the club. I think we’re doing well and I just try to bring my positivity to the team. “You just have to think about being good on the pitch and then everything else will come. Albion boss Chris Hughton said: "I am delighted for Gaetan. He is a key member of the squad, and he has worked really hard to earn this new contract with the club. 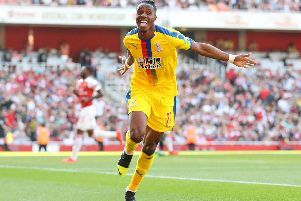 "He has proved himself to be a consistent performer for us in the Premier League so far this season, and acquitted himself really well stepping up from the Championship."